We arepleased to welcome to the rental market this excellent fully furnished five-bedroom property located in Belfast’s popular and very desirable Queens Quarter. The property is a fantastic address within ideal proximity to various local amenities such as The McClay Library, Spar food market, Common Grounds Coffee Shop and Hatfield Bar amongst many other popular amenities. The property is conveniently located within walking distance of both Queen’s University Belfast and the Jordanstown University Bus Stop, as well as being within walking distance to the city centre or several minutes travel via the frequent Metro Number 7 bus. It is also a short walk to the Botanic Train Station and Central Station. 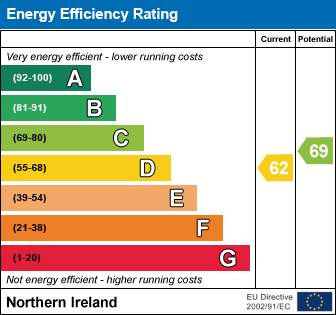 I am interested in 5 Bed ~ Student House, 73 Rugby Avenue, Queens University Quarter, Belfast. Please contact me about this property.